A research project investigating therapeutic riding for veterans, conducted by principle investigator Dr. Beth Lanning of Baylor University, was recently published in Human-Animal Interaction Bulletin. 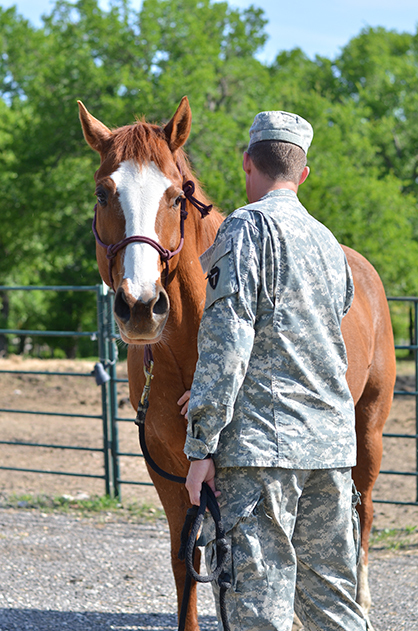 The study Therapeutic horseback riding as a complementary intervention for military service members with PTSD was funded by the Horses and Humans Research Foundation. Mission: Through sustained investment in rigorous research, Horses and Humans Research Foundation serves as a catalyst to advance global knowledge of horse-human interactions and their impact on health and wellness.